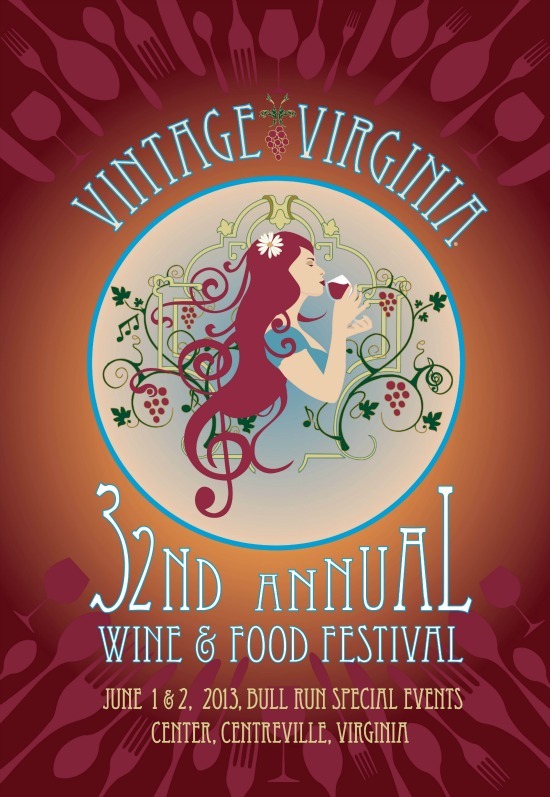 The Annual Vintage Virginia Wine and Food Festival is going on this weekend, June 1st-2nd at the Bull Run Special Events Center in Centreville, VA. It’s a great opportunity to sample wines from all over Virginia and a bargain with an all-day pass with unlimited tastings for $30 per person. This is the first year where there seems to be an emphasis on food as well and as I mentioned in this post this year’s Festival will showcase some of the DC-Area’s favorite food trucks. You can purchase a la cart or for another $30 you get four tapas and two deserts from any of the on-site food trucks. There is even a shuttle from the Vienna Metro running throughout the Festival. For more information, visit Vintage Virginia’s official website. The first 100 people through the gate with “vintage” attire (bow ties, hats, gloves, etc.) will receive a prize. It’s going to be HOT so drink plenty of chilled White and Rosé…oh, and water too – don’t let dehydration slow you down.